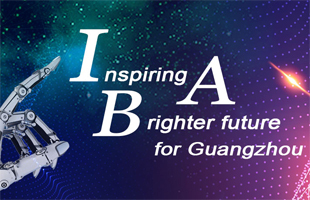 On April 3, at the Guangzhou Annual Investment Conference, the 2019 image promotional video of Huangpu district and Guangzhou Development district - In Huangpu We Believe - was released, sending a warm invitation to the world: welcome to Huangpu. The video lasts for 5 minutes and adopts world-class creative design and shooting methods. It starts with the title In Huangpu We Believe and ends with Come to Huangpu. At the beginning of the video, a returnee entrepreneur, a representative of two generations of overseas Chinese who have returned to Huangpu to set up their own businesses, arrives at Huangpu to keep an appointment made 30 years ago. Then as the returnee entrepreneur begins his visit to Huangpu, the video vividly shows him and the viewer Huangpu's profound history and culture and its modern opening-up and innovation, and describes Huangpu as innovative and globally famous and suitable for starting up business, living and traveling. It is reported that the 30-second short video In Huangpu We Believe will also appear on the China screen of Times Square to show the unique charm of Huangpu district and Guangzhou Development district to a global audience. This will make the districts a worldwide focus, just as Huangpu HOPE did in 2017 on that same screen. More than 2,000 years ago, Huangpu, the birthplace of the Maritime Silk Road, began to connect China and the world. Whampoa Port, a well-reputed millennium ancient port, has witnessed Huangpu's pioneering days. The Huangpu Military Academy, founded by Sun Yat-sen a hundred years ago in Changzhou Island, is a world-famous cradle of generals, and was a dream of aspiring young people at that time. 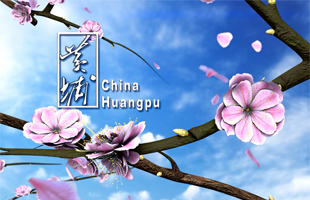 The video gradually presents Huangpu Military Academy, Nanhai God Temple, Yuyan Academy, Canton embroidery, Qiqiao, Dragon Boat Carving and other traditional cultural venues and heritages of Huangpu, as well as modern elements such as its advanced bio-pharmaceutical industry, 3D artificial intelligence printing, the world's first passenger-carrying unmanned aerial vehicle, the Huangpu Marathon, a 7×24-hour library, ecological achievements such as Changzhou Slow Island, Luogang Hornsey, and the famous Huangpu Banquet represented by Sham Tseng goose: all these show how Huangpu has miraculously achieved innovation, opening up and high-quality development. The Huangpu Miracle is attributable to Huangpu's efforts to set up a world-class business environment. In particular, a streamlined administrative examination and approval service, application and protection of intellectual property rights, and policy fulfillment service have greatly improved the sense of acquisition and satisfaction of enterprises and the general public. 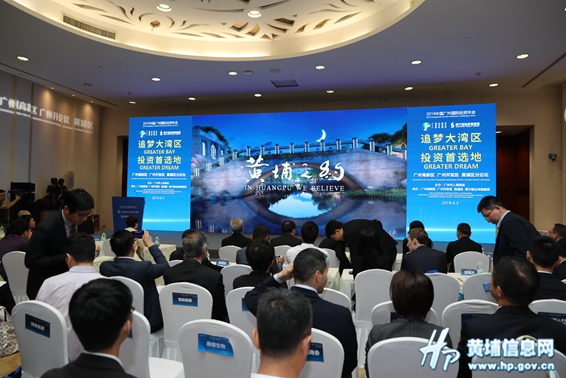 The video also demonstrates Huangpu's achievements in becoming a world-class knowledge city, talent port, and science and technology innovation center in the Guangdong-Hong Kong-Macao Greater Bay Area. 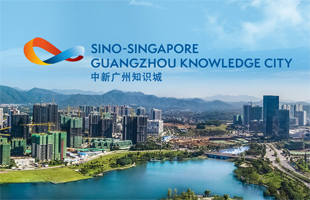 They include Sino-Singapore (Guangzhou) Knowledge City, the knowledge creation demonstration zone in the Guangdong-Hong Kong-Macao Greater Bay Area, Guangzhou Science City, the institutional innovation pilot zone in the Guangdong-Hong Kong-Macao Greater Bay Area, Guangzhou Huangpu Port, a modern service innovation zone, Guangzhou International Bio-island and the life science cooperation zone in Guangdong-Hong Kong-Macao Greater Bay Area.